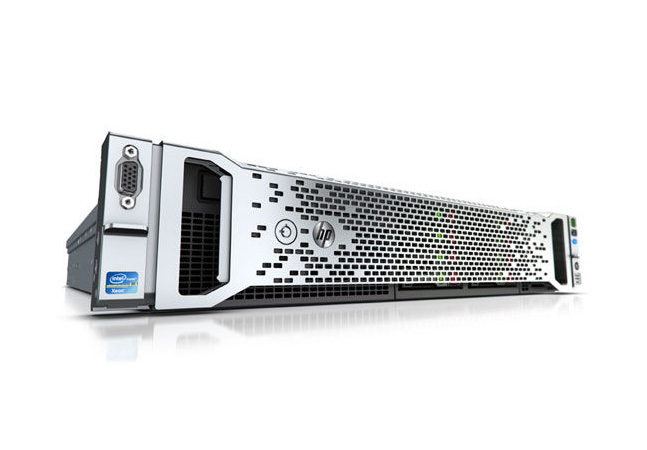 HP DL380z Virtual Workstation supports centralized, secure access and demanding workloads. HP has released a virtual workstation designed to handle graphics- and data-intensive workloads in industries such as engineering, architecture, construction, digital media, and oil and gas exploration. The HP DL380z supports up to eight users on one workstation, from a variety of devices, including thin clients, notebooks, and tablets. The workstation uses the industry-standard 2U form factor, which means it can integrate into a customer's existing data center infrastructure without any additional chassis hardware. The HP DL380z keeps intellectual property and other sensitive data centralized and secure by transmitting encrypted pixel data over LAN or WAN to remote users. It also allows a choice of pass-through GPU and virtual GPU modes that customers can configure, making IT change management simple. By keeping the compute engine co-located with high-performance storage arrays in the data center, customers can experience very fast project load times. In addition to allowing dual NVIDIA GRID K2 graphics cards and NVIDIA GRID GPU virtualization, the DL380z supports HP Remote Graphics Software (RGS), which pioneered remote access to graphics-rich applications and the ability to host collaboration sessions from multiple devices and operating systems, including Linux. The newest HP RGS release 7 added the ability to have touch control for non-touch applications. The workstation also supports HP Velocity software, which significantly improves network performance. Christa Ayer is a freelance technology writer based in Seattle, Wash.